Home » Bollywood News » Ravishing Ananya Panday Makes Her Koffee With Karan Debut With Sass! The actress donned a quirky blue side-slit dress and red heels with minimal makeup and accessorized it with golden earrings. 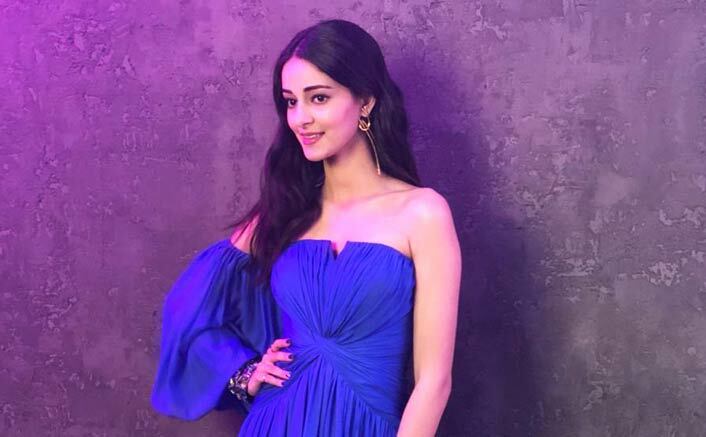 Ananya Panday is all set for to make her debut in Bollywood with Student of the Year 2, also made her Koffee With Karan debut along with her co-stars Tiger Shroff, Tara Sutaria and the diva was soaring temperature in a blue dress. Ananya Panday who is gearing up for her debut, has already bagged her second film Pati Patni Aur Woh and started shooting for the same. Ananya Panday happens to be the youngest celebrity endorser of Lakme India. Owing to the humongous fan base, the B-Town newbies are already creating a rage in the entertainment industry. Ananya will make her acting debut with Student of the Year 2 which is slated to hit the screens on May 10 this year.